Current senator: The current senator for the 38th District is Sen. Ed McBroom (R-Vulcan). 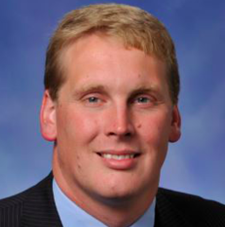 He represents Alger, Baraga, Delta, Dickinson, Gogebic, Houghton, Iron, Keweenaw, Marquette, Menominee, Ontonagon and Schoolcraft. According to his campaign website, McBroom is the fourth generation on his family's 100-year-old dairy farm. Sen. McBroom served in the House before being elected to the state Senate in 2018. A map of the 38th District is available here. Sen. McBroom raises money through a candidate committee, Committee to Elect Ed McBroom.